The majority of the public knows what an AED (automated external defibrillators) is – but never have had their hands on one or been educated on how to make use of one. And, due to this quite a lot of myths about AED use have popped up. Listed below are a few myths that we generally hear from the general public. Nearly 80 percent of the causalities take place in the home, so it’s wise to have an AED in your house. If used quickly and correctly, AED can save a life. You can take a simple AED Training Course Online and save precious lives of your loved ones or others. Certainly wrong! No doubt if you’re a healthcare professional & use emergency equipment daily you’d possibly be comfortable making use of an AED – applying the pads & shocking some a sufferer. But the AED is so straightforward to use that anybody in the general public can make use of it with a little bit training that is readily available online these days. Not true! Obviously, the chest must be as dry as feasible for the safe supply of a shock. If doable, dry off the chest quickly, but don’t hold back defibrillation if the AED recommends a shock is needed. No, it’s not too late! 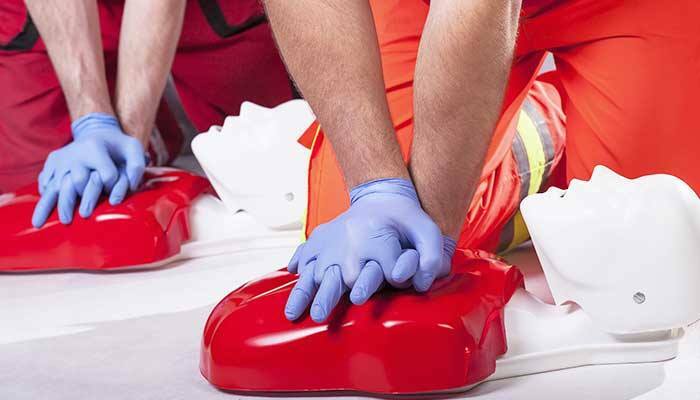 A rescuer should supply and continue to supply top-quality CPR. When the automated external defibrillator arrives & pads are applied to the victim, the AED will find out if the sufferer is still in a shockable rhythm, and it’ll ask you to push the shock button. There’s still an opportunity for survival. False! AED pads are developed for the particular age groups – one size for adults, and another for kids, and still another for babies. But, obviously, the most common age group for AED use is the older adult. Adult pads can be employed on the child 1 to eight years old if the proper size isn’t available. Child/infant combo pads are available as well. Don’t employ smaller pads on adults, as it won’t offer adequate electrical power. In this circumstance, persist in performing chest compression. You can simply make a difference by taking Online AED Training offered by American Safety Training Institute. You will get two full years of certification after completing our industry leading and innovating AED Training program. You can save some precious life with a little knowledge! So be ready for it! This entry was posted in Education and Training and tagged AED training, AED Training course, Education by Christopher. Bookmark the permalink.